Are you looking for some useful tips and advice that will help you to maintain your RV tires? If so, this guide will give you the key information you’re looking for, so let’s get straight to it. Tip #1. Make sure they get regular use. You may be surprised to discover that RV tires tend to last better when they are subject to regular use, rather than being left idle. Fortunately, it’s all too common for RV tires to be left immobile for long periods of time, especially if you have an RV that doesn’t get as much use as you’d like. Remember that the manufacturers of these tires use compounds that are designed to withstand regular use, and if they’ve been subject to UV light and air for too long then this can cause cracks to form over time. With this in mind, try to keep your RV active or keep your tires covered when not in use. Tip #2. Keep them clean. One of the most important steps to take when maintaining your RV tires is to keep them clean. This is very easy to do, and with some gentle soap and water, you should be able to keep them looking fantastic. 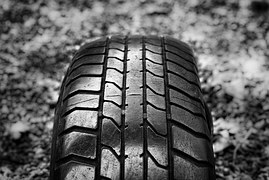 Ultimately, this will go a long way toward keeping the tires in great shape and protect the external surface as well as allowing the rubber to maintain its protective properties. Tip #3. Keep them inflated. Another key tip for maintaining RV tires is to keep them inflated to the manufacturer’s recommended pressure rating, without going above or below too often. This will help to keep the tires in good running order whenever you are about to drive your RV, and it will also improve their lifespan as well. Overall, maintaining your RV tires doesn’t have to be a difficult task, and if you keep these tips in mind, they should last for many years to come.